Our goal is to connect people with the best local experts. We scored wedding photographers on more than 25 variables across five categories, and analysed the results to give you a hand-picked list of the best wedding photographers in Lakewood, CO.
Andrea Flanagan Photography, located in Lakewood, Colorado, has been dedicated to documenting happiness in all its forms for more than a decade. Lead photographer Andrea is fascinated by people and loves capturing genuine human moments and emotions. She creates both posed and candid images. Andrea Flanagan Photography offers a wide range of services, including weddings, engagements, family portraits, senior pictures, headshots, commercial work and lifestyle videos. All sessions are navigated by the mood of the particular subject, the light, location and time of day. She believes in working with her clients in order to bring their visions to life. Andrea loves shooting on location but also has access to various natural light studios throughout Lakewood. Ashley Kidder Photo is a photography company that is located in Denver, Colorado that serves the Mile High City excellently. Ashley Kidder Photo was founded in 2010. The company specializes in wedding photography, engagement photography, and elopement photography. Ashley Kidder Photo does boudoir photography as well. They also provide videography and editorial services. Their wedding photography package includes six to ten hours of coverage, two photographers, an engagement session option, high-resolution images, and an online gallery. The engagement photography package they offer is all inclusive of one hour of shooting time, high-resolution images, an online gallery, and recommendations for outfits, hair, and makeup. Ashley Kidder Photo is “crushing killer photos.” Ashley Kidder Photo does not discriminate, and they welcome all weddings. Ashley Kidder Photo accepts anyone regardless of their sexual orientation, gender identity, ethnicity, or religion. Bergreen Photography offers Colorado adventure wedding photography for couples who are more comfortable outdoors than inside. Husband and wife team, Marc and Brenda Bergreen, create images that demonstrate a couple’s love for nature and adventure and each other. Marc and Brenda schedule an engagement photo date for couples to meet with and get to know them. The Bergreen’s style fits well with couples that don’t mind a bit of a windy day or dirt on their clothes because they are sharing an inspiring experience and will have it captured for a lifetime. Bergreen Photography offers digital file images, a wedding album, and other products to round out a memorable experience. Danielle Farmer Photography, located in Denver, Colorado, since 2014, provides individual, couple, family, and lifestyle portraitures at unique locations throughout the greater metropolitan area. Utilizing an airy and natural photojournalistic style, fresh perspectives, and refined composition skills, Danielle Farmer specializes in capturing the candid moments that highlight genuine personalities and emotions. Adventurous and fun-loving, she considers photography a way of life and consistently delivers bold and enchanting images to treasure forever. Danielle Farmer Photography has received hundreds of likes on Facebook, and many five-star reviews praise her warm and friendly demeanor, artistic talent, and detail-oriented service. Feelingrafia serves couples in Lakewood, Colorado, and the surrounding areas with high-quality and artistic wedding photography services. They also offer portraiture photography for expectant mothers, families, pets, high school seniors, and sixteen-year-old teens. Fabian Gonzalez, the owner, and the head photographer makes use of his natural control of the camera to help his clients preserve the special moments of their lives. He takes the time to get to know his clients on a personal level allowing him to combine their ideas with his brand of photography to produce beautiful and well-crafted photographs. 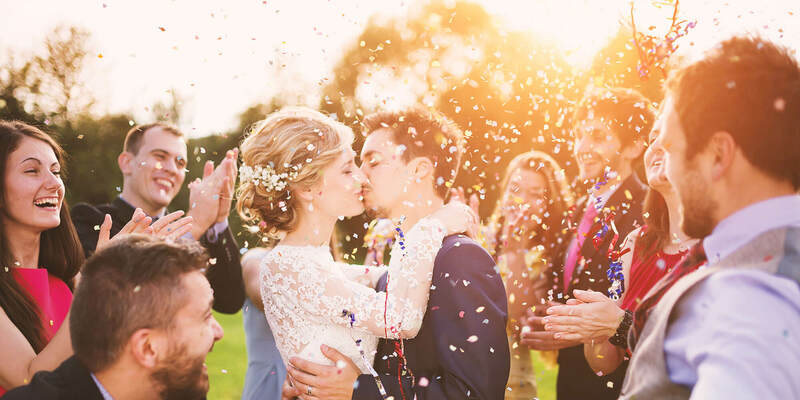 Feelingrafia has been featured in various publications including WeddingWire, WedGraphers, and Wedding.com and has a 4.7 rating on Facebook with over eighty votes. He is a proud member of the Fearless Photographers. Goldguns Photography features the work of longtime photographer Ralph Scobey, who launched the business from Golden and the Denver Metro in 1976. Over the years, he has remained active in the drag racing circuit, both as a racer and a photographer. For more than four decades, he has provided a variety of photography and video production services as well as photo/video editing. He has developed film for the Federal Bureau of Investigation during the 1970s and ‘80s, and his areas of specialization include special events, photo restorations, portrait photography, and action photography. The studio name comes from Scobey’s acquisition of a federal firearms license in the 1990s and his subsequent relationship with the law enforcement community. Heart Life Photography, located in Denver, Colorado, has been dedicated to providing high-quality services for more than half a decade. Owner and lead photographer Brianne Shaw employs her love for life to create enticing images that help people commemorate major events, moments and emotions forever. She operates in a highly personable manner and strives to understand her clients' needs prior to the session. The locally-owned and operated company offers a wide range of services, including family, newborn, maternity and wedding photography, as well as headshots and senior portraits. Having children of her own helps Brianne with photographing little ones. Her passion for light and all things Colorado are also reflected in most aspects of her work. Nicole Noel is the head photographer and proprietor of Colorado based wedding photography company, Nicole Noel Photography. She is committed to detail, organization, and running her business efficiently to maximize what her clients get out of her photography sessions. From engagement photo shoots to portrait sessions to wedding throughout the Colorado area, Nicole offers a wide ranging assortment of photographic services. She wants all her clients to be able to connect with her on a personal level and can individually customize packages to fit the needs of her clients. Further, all of Nicole Noel Photography’s portrait sessions include fully edited digital negatives with a complete print release. Simple Elegance Photography offers professional wedding photography services in Denver, CO. In addition to wedding photography, they also offer engagement, event, portrait, and corporate photography services. A proud 2016 member of wedding.com, Simple Elegance Photography aims to combine the timelessness of traditional photography with modern artistic touches in order to make each series of photos professional and unique. They have a combined 25 years of photography experience. With the hopes of accommodating all budgets, they offer several different packages with a variety of pricing determined by the amount of photos taken, the amount of photographers present, and the length of time each session takes.